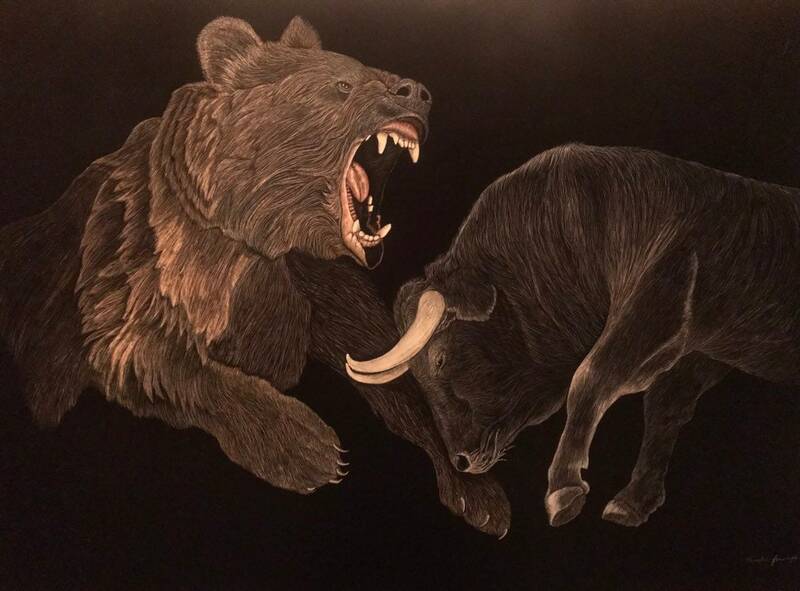 Fighting Bull and Bear scratchboard 24x36 inches: the epic struggle of the American Economy for your wall! All of my art is made using sharp tools, by scratching into a board covered in white clay and black ink. I scratch away the black ink to create the image in white. Wherever you see color, I have added colored india ink and re-scratched the image to add texture. 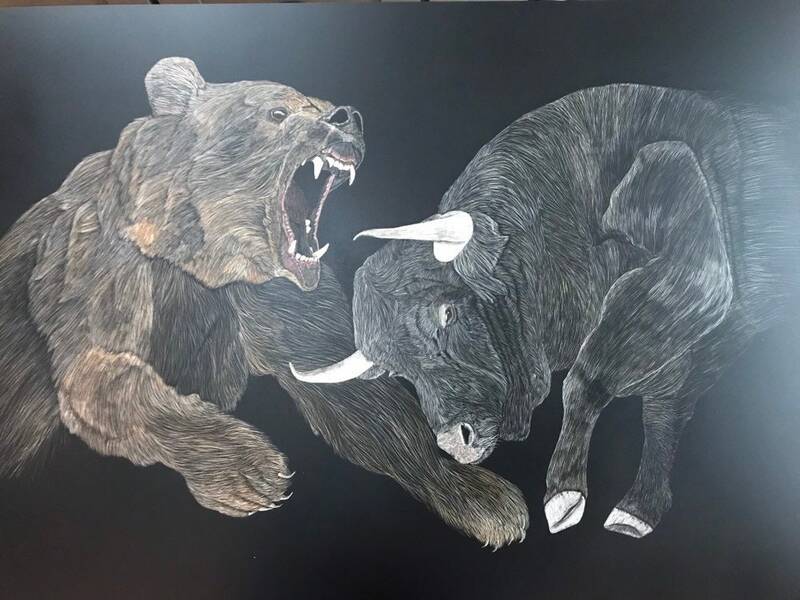 This scratchboard takes over 60 hours to create. Each line will be scratched into the piece, creating a 24x36 inch image. The board itself is extremely lightweight (masonite) and will be cradled for free floating wall mount! Inquire about framing options, if interested!